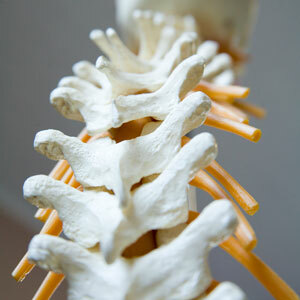 Chiropractic Care Lexington NE | Heartland Family Chiropractic, P.C. Think of your brain as the control center for your entire body. To work effectively, it needs to communicate with each organ and cell in your body as it was designed to without interruption. However, our nervous system is prone to disturbances in life—which can be a result of stress, a micro-trauma, or a severe injury like an auto accident. Over time, our nerves gradually experience a “road-block” as they aren’t able to travel as designed. Chiropractic care works to identify where exactly in the spine these disturbances are occurring and shifts the spinal bone back into place, gently and effectively. At Heartland Family Chiropractic, P.C., Dr. Chelsa is happy to offer chiropractic care to families and patients of all walks of life. Dr. Chelsa specializes in the Gonstead technique, which pulls from a combination of engineering and scientific backings, working to discover exactly where the subluxation lies in your body and to correct it naturally. This hands on adjustment method allows Dr. Chelsa to give your body a custom adjustment that is specific to you. Unlike some Gonstead chiropractors, Dr. Chelsa focuses her care to be extremely gentle for every patient. By using a low force, yet very specific placement, Dr. Chelsa is able to adjust your spine exactly where it needs it. Heartland Family Chiropractic, P.C. is proud to offer safe and effective chiropractic care for patients of all ages—even the youngest members of your family. Get started today by contacting our practice to book your first appointment.